Certainly epic business going on here. 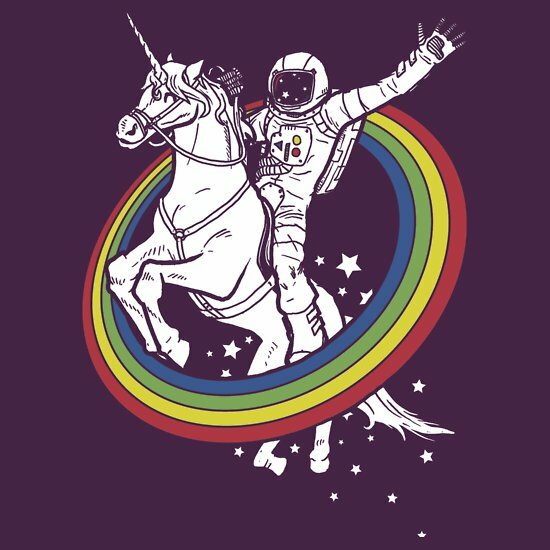 Astronaut riding a unicorn in space jumping through circle rainbows. Well done. Well done. And, we’re still all on board with astronauts being considered epic, along with dinosaurs, sharks, bears, machine guns, and Chuck Norris? Nice design by Jonah Block.